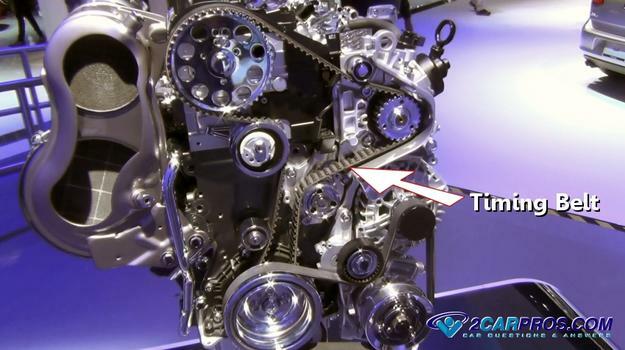 A timing belt is a rubber toothed belt which is designed to drive the camshaft, balance shaft, water and oil pumps depending on manufacturer's engine design, via the engine crankshaft. 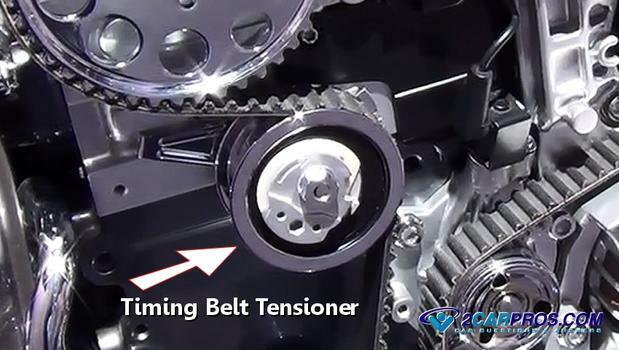 A tensioner is used to hold pressure on the belt which is spring loaded, oil pressure activated or set manually. 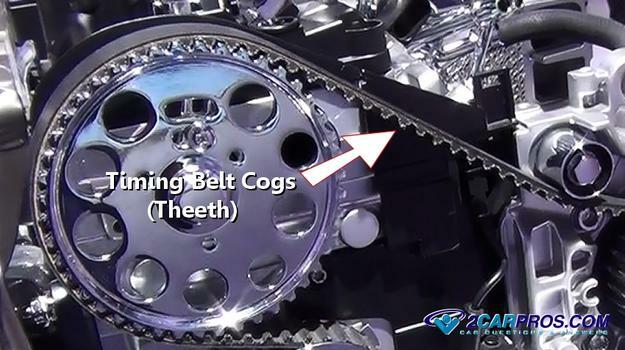 The cog of the timing belt is what drives each accessory and when these teeth fail the engine will stop running, a timing belt is a normal service item. 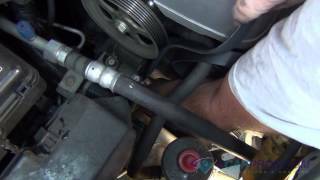 Many things can be driven by a timing belt, including the engine oil pump. Timing belts are more common in overhead cam engines and are more easily serviced than a timing chain. A timing belt is constructed of a fiber reinforced rubber with vertical ribs vulcanized to the inside of the belt. 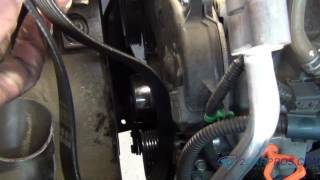 When a timing belt fails it will allow the ribs to shred stopping the driving motion. 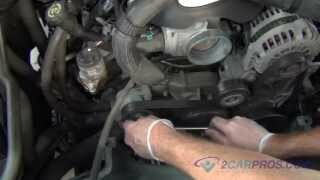 To check the condition of the timing belt (engine off) remove the timing belt cover (upper), using a flash light inspect the condition of the belt, check for cracks especially at the base of drive teeth. An engine has a unique set of crankshaft, camshaft and accessory timing marks. 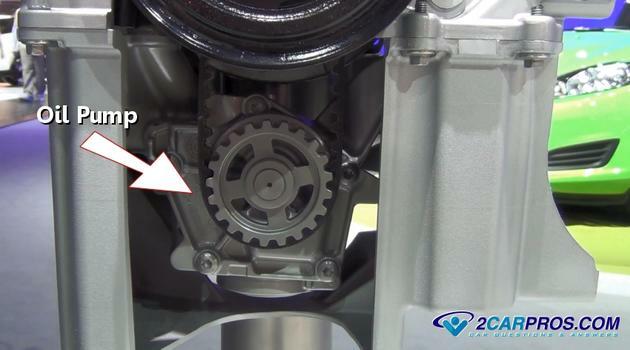 The timing belt or chain needs to be replaced per manufacturer's specification and can fail without warning which stalls the engine. Because a timing chain configuration is more durable, a timing belt will need to be replaced more often, comparatively.